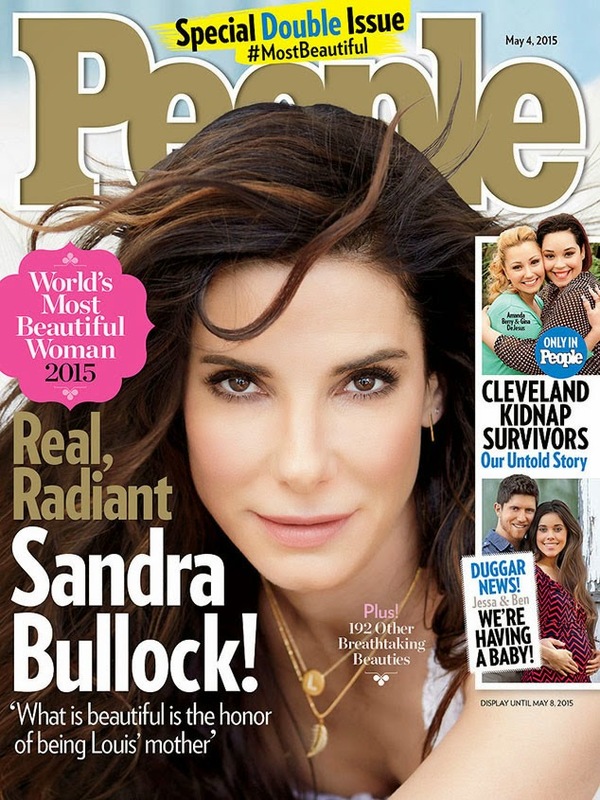 What's the average age of People Magazine's readers at this point: 55, 65? Maybe 70? Sandra Bullock is 50 years old. They have airbrushed one-eighth of an inch of makeup to her face. Also, real hair doesn't do that. Readers will recall 2013's perimenopausal vixen. Prediction: Bruce Jenner will be named People Magazine's 'Most Beautiful Woman' in 2016.